Those guys are the bomb. I love them. Charles is probably one of the best contractors. He does straight up business. His yes is yes, and his no is no. If you want the job done right and in a timely manner, and you want to stay on budget, this is the guy to go to. He is the only guy we go to. All the guys there are really knowledgeable. They are all really friendly. They do what they say they are going to do. They are pretty top-notch. They were reliable. They came when they said they were going to come. He had good ideas for design. They were prompt, and they did a good job. A lot of people have given us positive comments about the work we had done. They've always done great work for me, and they've worked for me for years. They always do the job right, and there's good rapport with the owners and their customers. I think they're doing great. 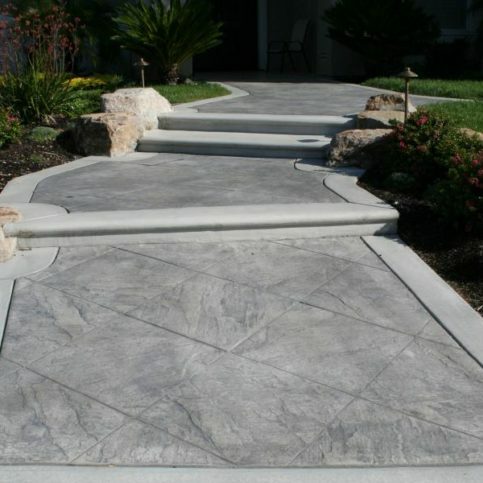 California Concrete – Pump Pros provides a complete range of concrete services for residential and commercial clients throughout the Bay Area. As a specialty contractor, the company focuses on all aspects of concrete, such as design, demolition, forming, pumping, installing and finishing. 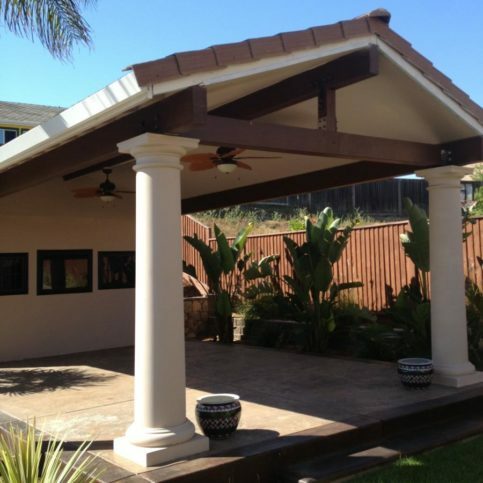 This includes foundations, walkways, driveways, patios and pool decks. 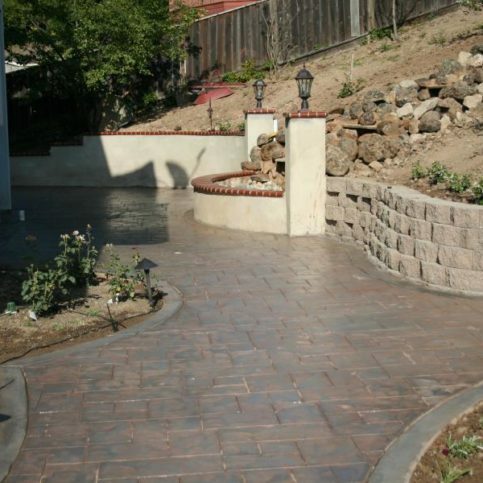 California Concrete - Pump Pros recently completed this walkway project. 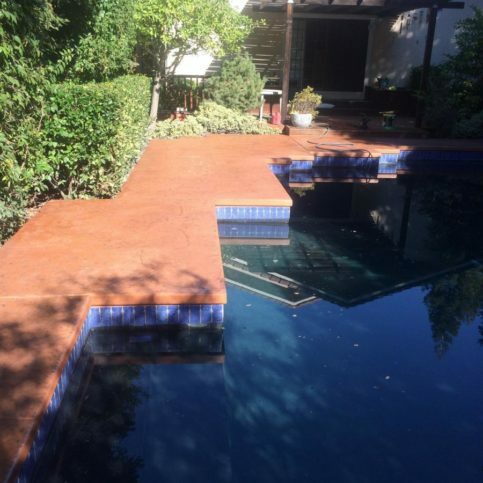 California Concrete – Pump Pros has been providing concrete services for residential and commercial clients throughout the Bay Area since 2005. The company has the training and equipment to handle every aspect of its customers’ concrete projects, including design, demolition, forming, pumping, installing and finishing. 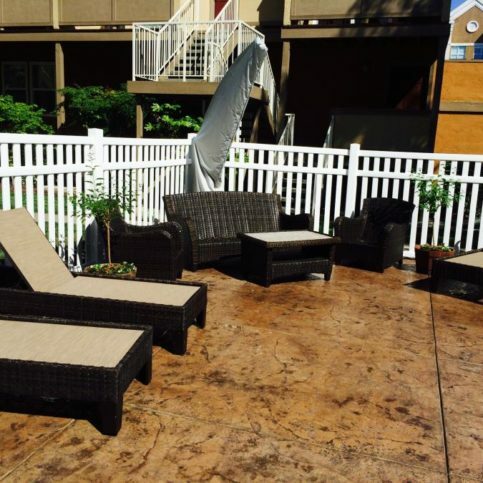 “We can do everything from foundations, walkways and driveways to patios and pool decks,” says Mr. Lee. Q: How long will my concrete project take to complete? A: It depends on the size of the project, but we’ll let you know the specific timeline before any work begins. Q: Do you stay on the jobsite from start to finish? A: Yes. When we start a project, we’ll be there every day until it’s done. Q: Will my new concrete crack? A: Concrete is a porous material, so it tends to crack over time, but we follow certain methods to maintain the concrete’s integrity and prevent it from cracking. For example, the underlayment and sub-foundation are as important as the concrete itself, so we put down at least two inches of base rock and compact it, which acts as a buffer and prevents the ground from moving the concrete. We also use steel rebar instead of wire mesh, which helps give our concrete tensile strength and prevents it from separating. Finally, we use 2,500 PSI concrete, which is stronger than the industry standard and gives the concrete a little more bonding strength so it’s less likely to crack. Q: Can you match my new concrete with my existing concrete? A: We can certainly try to match new concrete with old concrete, but if the old concrete has been sitting for many years, it can be tricky to get an exact match. Q: Can you install colored concrete? A: Yes, and we have about 60 different colors that you can choose from. 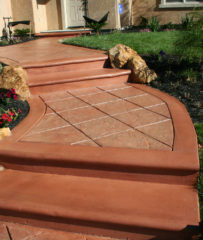 However, the exact color of the final product may vary slightly from the samples we give you—new concrete and existing concrete take color pigmentation a little differently. Charles Lee is owner of California Concrete Pump Pros, a Diamond Certified company. He can be reached at (925) 201-6196 or by email. Q: Do you have a favorite sports team? A: The San Francisco Giants and 49ers. Q: Music or talk radio? A: House of Prime Rib in San Francisco. Q: What was your favorite toy as a child? A: My Big Wheel tricycle. My sisters used to pull me around on it with a rope and whip me around corners like I was water skiing. It was a lot of fun. Q: What’s your favorite thing to eat for breakfast? ANTIOCH — Many people don’t realize that even though concrete is a hard, sturdy product, it’s also extremely porous. 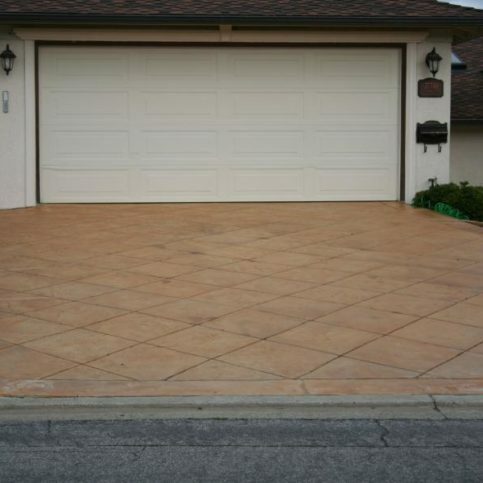 Because it readily absorbs liquids, concrete areas such as driveways and patios are susceptible to staining by everything from motor oil to red wine. A good way to prevent this from happening is to have your concrete areas sealed on an annual basis. The seal acts as a clear coat that sits on top of the concrete surface and makes it impenetrable to liquids. When a liquid spills on sealed concrete, you can simply hose it down and it comes right off without being absorbed and leaving a stain. ANTIOCH — Host, Sarah Rutan: Since concrete is a porous material, it is prone to stains from liquids such as motor oil. Today, we’re in Antioch with Diamond Certified Expert Contributor Charles Lee of California Concrete – Pump Pros to learn more. Diamond Certified Expert Contributor, Charles Lee: Just a quick tip I’d like to tell consumers is concrete is a porous product and what that means is that concrete, even though it looks very hard and sturdy, it will absorb water like a sponge. Any type of stain that you put on the concrete whether it be red wine or motor oil, it will slowly seep into the concrete itself. There is one way to prevent that and that is having your concrete sealed and have that done once a year. What that does is it is sort of like a clear nail polish, it puts a coating on top of the concrete which makes it impenetrable to liquid items such as motor oil or other stains that may spill on there. If such items were to spill on there with the sealer on there, all you would have to do is simply hose it off and it comes right off without staining the concrete. California Concrete – Pump Pros : Average 9.1 out of 10 based on 125 unique customer surveys of customer satisfaction. They have honest and reliable service. I liked the way he explained things, how they were going to go, and he followed that to a 'T'. I was very satisfied. They are very reliable. They do high quality work at a reasonable price. They are exactly what you're looking for. I liked the outcome, the way everything looked in the end. I came a long way with a remodel. It was a long road and the owner, Charles, was there every step of the way. He and his team were great. I'm definitely very grateful for the job that they did. I will use them again. They did a great job. We have had neighbors come up and tell us that our driveway looks very nice. We like the quality of their work. They were very nice gentlemen. I have recommended them. Charles did perfect sloping with the different angles he had to work with. They did a great job and completed it on time. They're pretty responsive and thorough when answering questions. They are courteous and efficient. They finished the job pretty quickly, and they were thorough. I highly recommend them to many people. They are high quality, impeccable. The driveway looks as good a year later as when they left. They have excellent workmanship and quality. I am absolutely satisfied. Actually, I liked their professionalism, honesty, and high level of knowledge. The owner, Charles Lee, was the best part. He was a solid guy. I liked him a lot. Then, of course, I liked the quality of the workmanship and his staff. I have a high level of satisfaction. They were conscientious, responsive, and reliable. Charles, the owner, is amazing. My husband is paralyzed, and Charles was wonderful with him. He showed him pictures of everything and explained everything. He was really a great guy. Everything was great. I was very satisfied with their work. He was very courteous, and he did what he said he was going to do. He did a good job. I would use them again. He did the work for a great price and he got it done very quickly. There were some extra things that he did for me as well. They have good customer service and he took care of things. His service is the way things should be. He delivers what he is supposed to. They are worth going to. He is a great guy and he does a great job for you. I liked how open he was to the ideas I gave him and he was willing to please me and make me happy. He does a great job. Charles is very patient, he listens, he is very knowledgeable, and he is really easy going and laid back. There is no pressure. Charles is very patient, he listens, he is very knowledgeable, and he is really easy going and laid back. There is no pressure. I am very satisfied. Competence, quality, responsiveness, timeliness, efficiency, pleasant to work with, and he did a lot more than I asked him to for less money. They were the least expensive and they were professional. He was able to provide answers to my questions and he was professionally experienced. He understood what I was talking about. They did a super job. I was extremely satisfied. Charles gives you a good quote, he takes pride in his work, and he just does a good job. He gives you a fair quote and a good price.